How long will it take to look normal again? Will the hair transplant be visible? Is there anything special needed for the best healing? All common questions from hair transplant candidates. Before they decide to book their procedure. Sometimes considering the best time of the year to book. 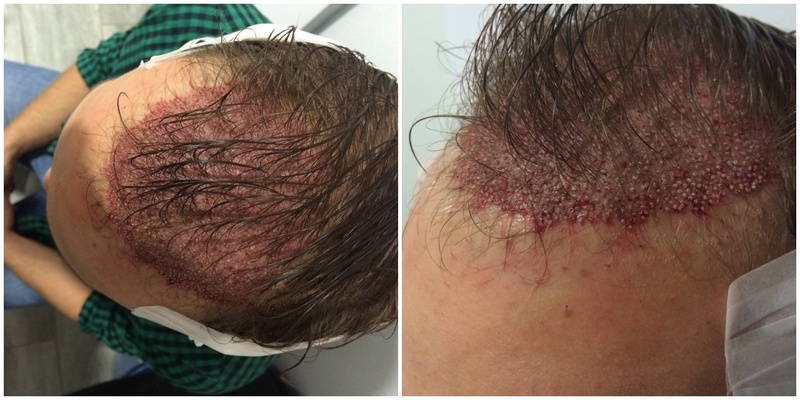 Healing time should be considered when deciding to undergo a hair transplant. Work issues, friend/family and just getting out and about. With minimal inconvenience and without feeling too conscious about how you look. The first days and week can be the hardest. It is important to take care and not damage the grafts or your scalp. You should be provided with instructions from your Clinic. Don´t put yourself under pressure. In respect to getting back to work or social commitments. Your hair transplant is for life. The odd odd day, either way can help to ensure better hair growth and healing. The healing process can vary around the scalp. Between the donor and recipient areas. To scar tissue to body/beard areas. The healing process may take different durations. Similarly, the healing may differ in different people depending on their skin types. Skin type 1- Extremely fair skin (always burns on excessive exposure to sunlight but never tans). The healing process of the body areas is significantly different than the scalp. Post-inflammatory hyperpigmentation or dark spots too are hardly ever an issue in the scalp donor area. One of the determining factors may be the larger number of sebaceous glands in the scalp donor area compared to other body donor areas. Different body donor areas may differ in their healing processes. The healing process may take different durations on different body areas of the same person even when the very same protocol is used. Similarly, the healing may differ in different people depending on their skin type.